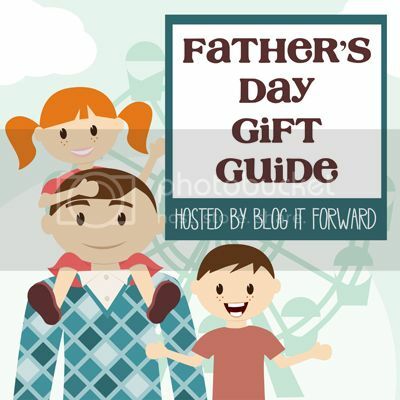 Welcome to the 2012 Father’s Day Gift Guide hosted by Blog It Forward! 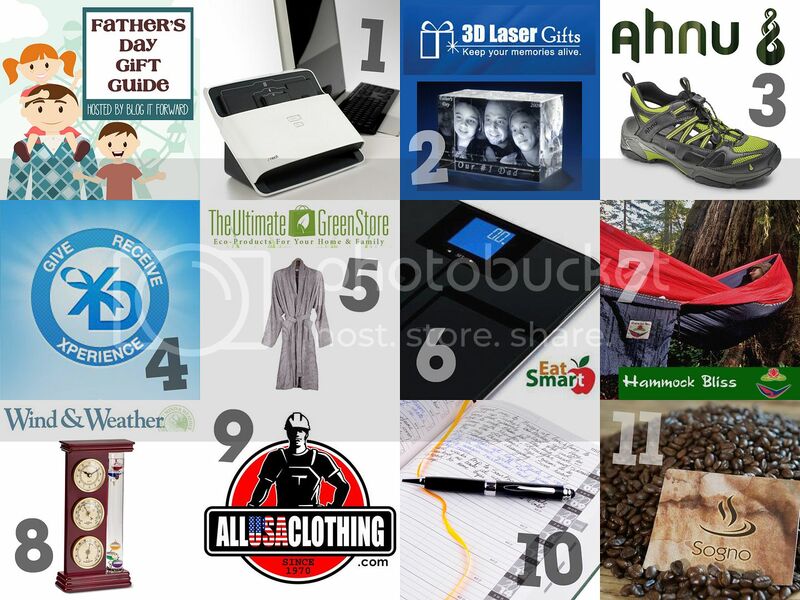 If you are looking for great gift ideas for dad then you came to the right place! Men are so hard to buy for aren’t they?! We want to help. We have gift ideas for all of the special men in your life! From hammocks to bathrobes to digital filing systems, we have ideas that will make your shopping easier! Be sure to come back on June 1 because we will be giving away *every*single*gift* on the Father’s Day Gift Guide! Kentfield Men’s Hiking Shoe :: For the active dad. The Kentfield by Ahnu is designed for the dad who wants the performance of a cross-trainer with the breathability and comfort of a water-sandal. Organic Bamboo Bathrobe :: For the “green” dad. Any dad would love to receive such a luxurious and eco-friendly gift from The Ultimate Green Store! Please visit the links above which will take you to a full review of our fabulous sponsors. You will also find special offers and discounts. We hope you found some gift giving inspiration for your dad! Don’t forget to come back to this blog on June 1. We are giving away over $1210 in prizes! I’d like to have (to try out) some newborn AIOs. I sooo love these idea’s and can’t wait to start making my fav’s a reality at my house as i am in need of some serious organization and can see a lot of those idea’s working for my family and my self so a big thank you for all your time and effort it is much appreciated and your little girl is such a cutie, well done.